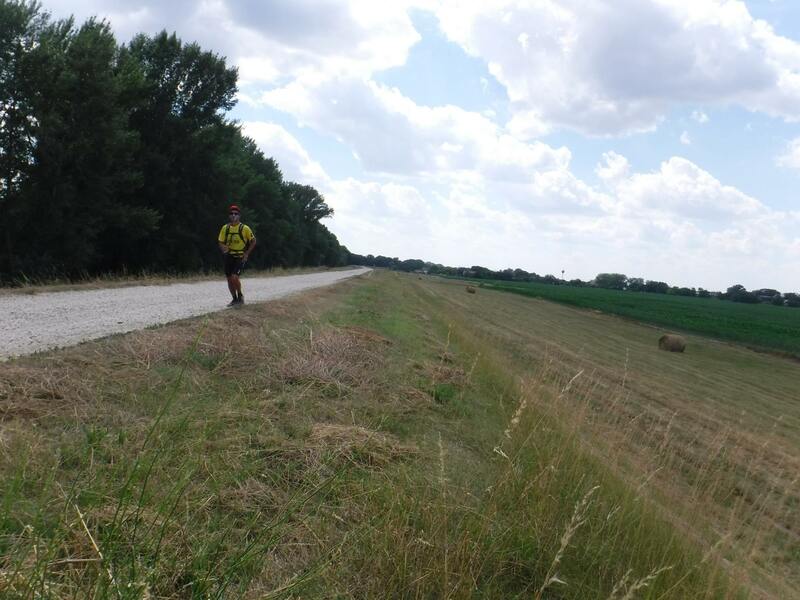 My challenge: 1'250 km from Berlin to Croatia in 9 days crossing 7 countries. 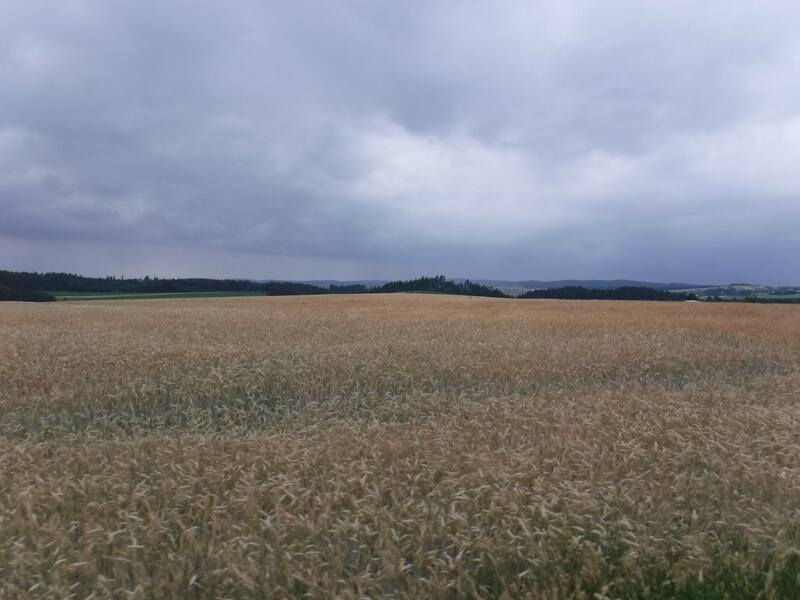 From Berlin to Vienna by bike (650 km in 3 days). 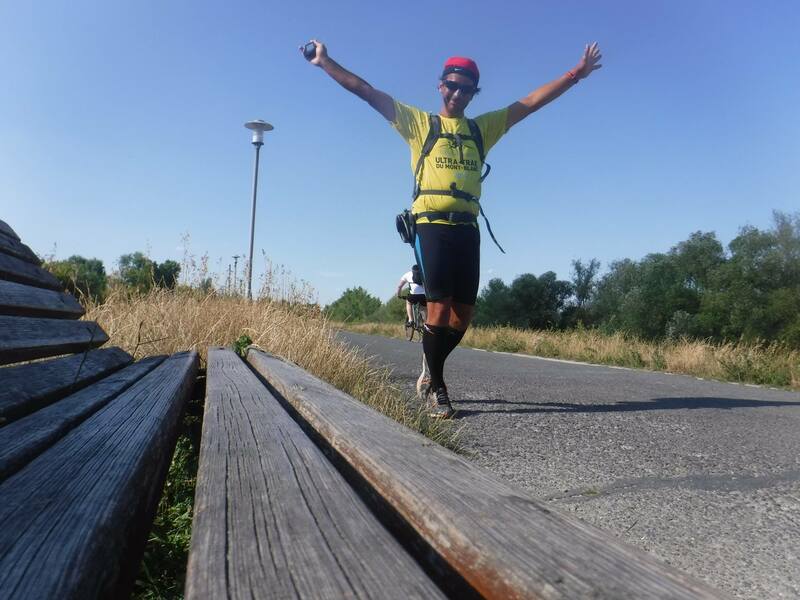 From Vienna to Budapest running (300 km in 3 days). 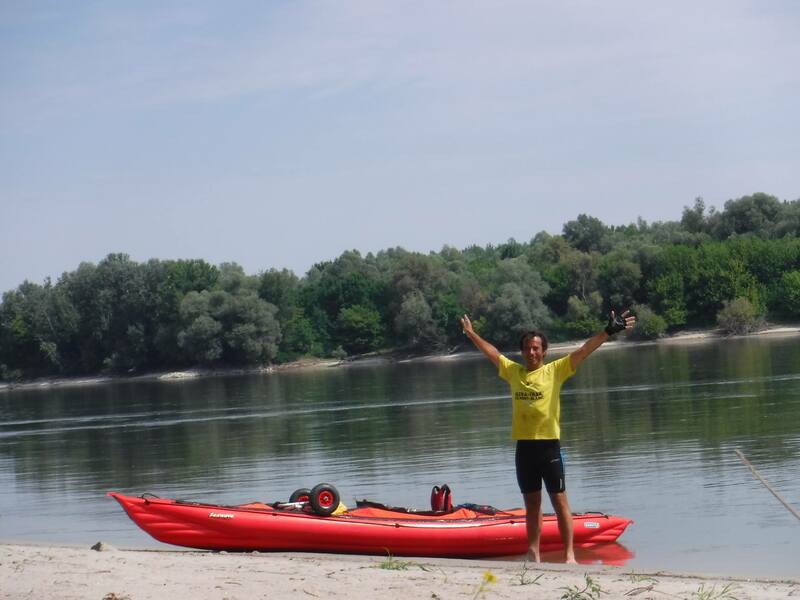 From Budapest to Croatia kayaking down the Danube river (300 km in 3 days). Self-organised and full autonomy race. A sporting but also mental challenge. See my video on the timeline below. 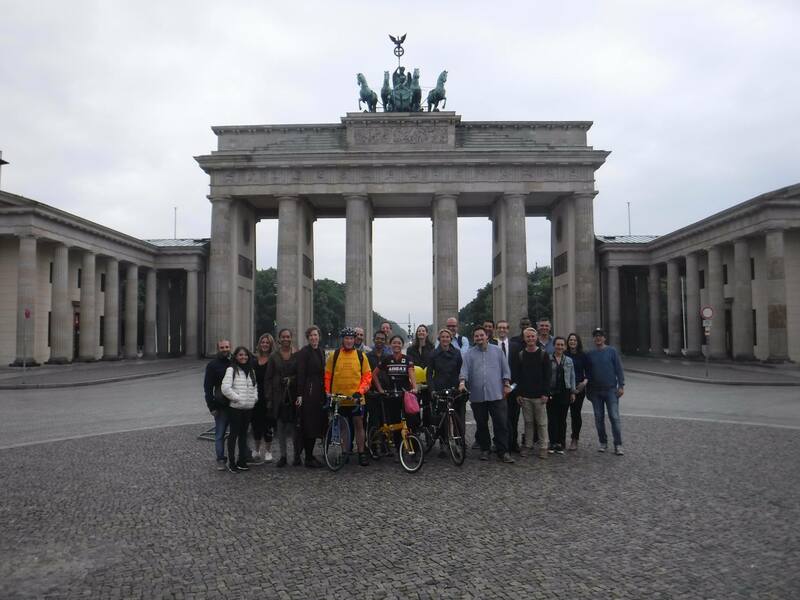 Departure on 01st July 2017 from the Brandenburg Gate 6:30 am. 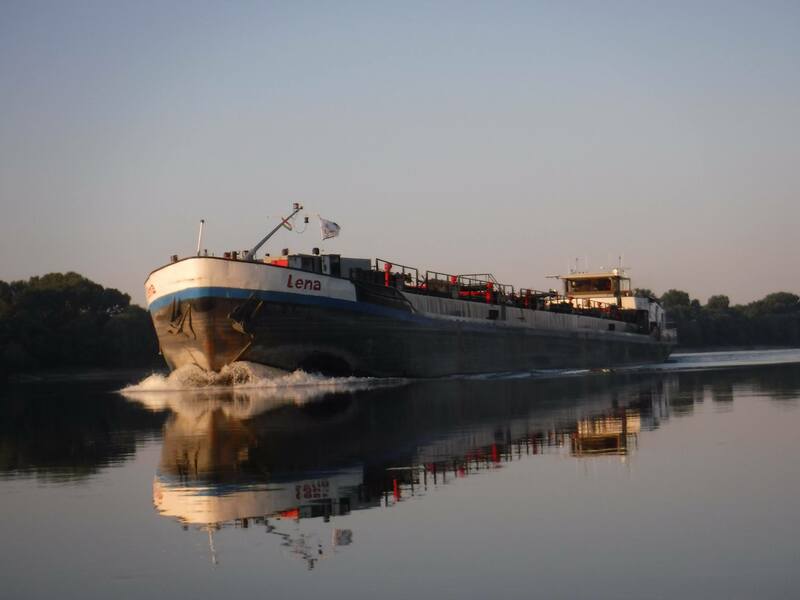 Arriving to Vukovar (Croatia) on the evening of 09th July. Flying back to Geneva from Belgrade ion July 10th arriving 23:00. On 30th June, my last day with Terre des Hommes before heading for something new, I will address again the governments at the World Forum on Migration and Development in Berlin. An extraordinary “slice of life” which I started 17 years ago as program director and today, I am in my sixth year as Secretary General of the Terre des Hommes International Federation. Whatever the future will offer; I will always remain engaged on child rights. 9 days and 9 principles for the protection of children on the move. A collective objective of 25’000 Euros on the Terre des Hommes websites of several countries. To my 4'000 colleagues of Terre des Hommes working in 68 countries, why not a farewell gift by contributing to this challenge? 4 Euros for each of the 6'266 days of work at Terre des Hommes. To my many friends and defenders of the cause of children on the move, collectively, 2’800 Euros per day and per principle for the protection of children on the move. Thank you for your support, follow me during this challenge and share. Hello! I’ve just launched a campaign to fundraise for children in need on MyTdh. Help me reach my goal! Thank you for your donation to my campaign. https://www.mytdh.ch/en/packer-ignacio/berlin-to-croatia I'm counting on you! Thank you for your support. 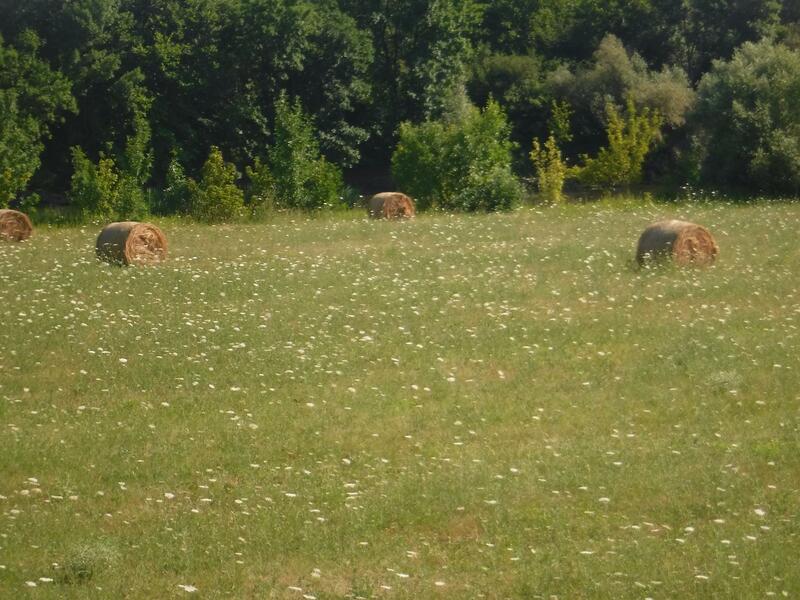 A WORD OF THANKS for your support while I was on my “trail”. Your kind words of encouragement on Facebook, emails and text messages gave me the sense that I was not alone. 4. To very many, A WORD OF THANKS for individual and collective generosity on the crowdFUNDING. For those who intend to contribute but… wanted to check out if I was able to complete the challenge 😊, the crowdfunding is open until 31st July. 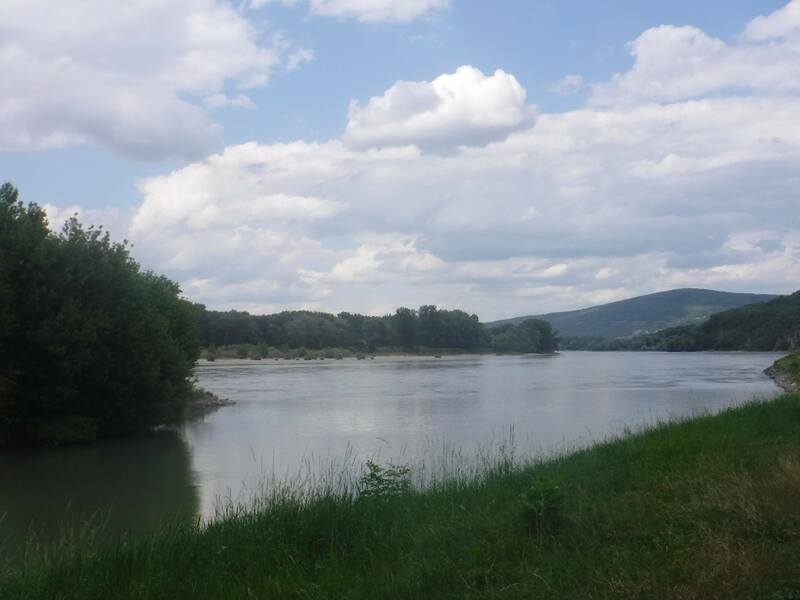 The Danube is made of drops. Encounters of humanity along my life comfort me in the belief that through dedication and hard work, change can happen. If the collective world conscience develops optimism, we really have a chance to pull ourselves out of the “use and them mentality”. 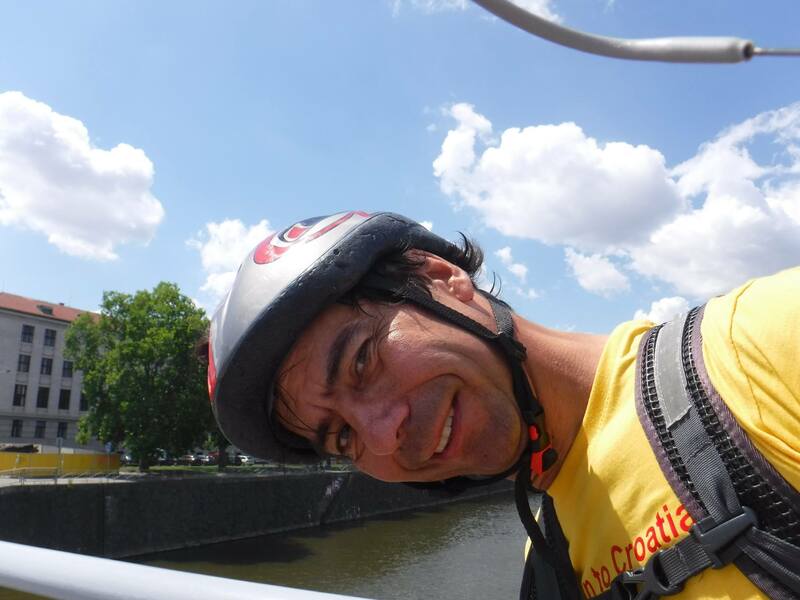 The Berlin-Croatia challenge was also an “anti-chamber” to help me leave Terre des Hommes after 17 years. I will now be exploring exciting options to continue to grow and challenge myself in new ways. People have made me happy. 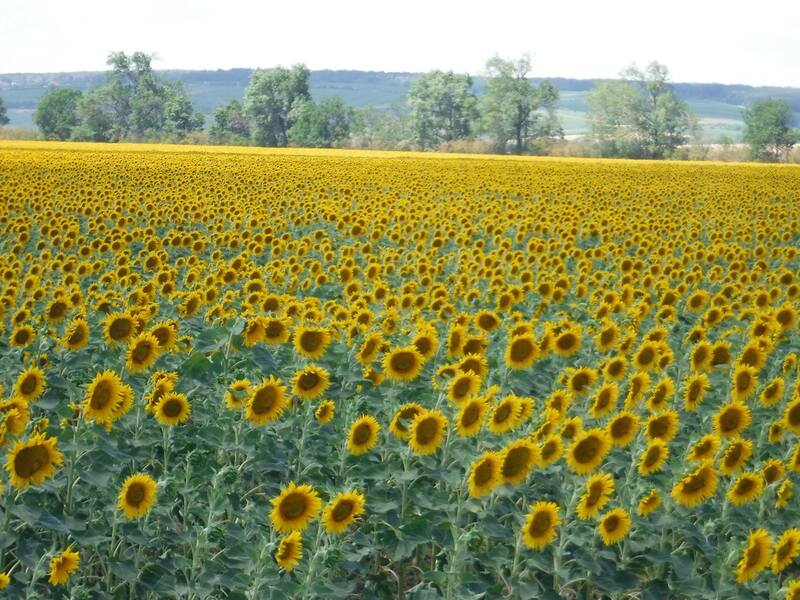 Colleagues, allies, friends, children, youth…. and above all, Denise and my children. And this will continue. They are, you are, the charming gardeners for my soul to blossom. Push backs of children on the move to the border by the Croatian law enforcement are regularly reported. Despite the legal framework, these children are denied access to information, legal representation and guardianship. 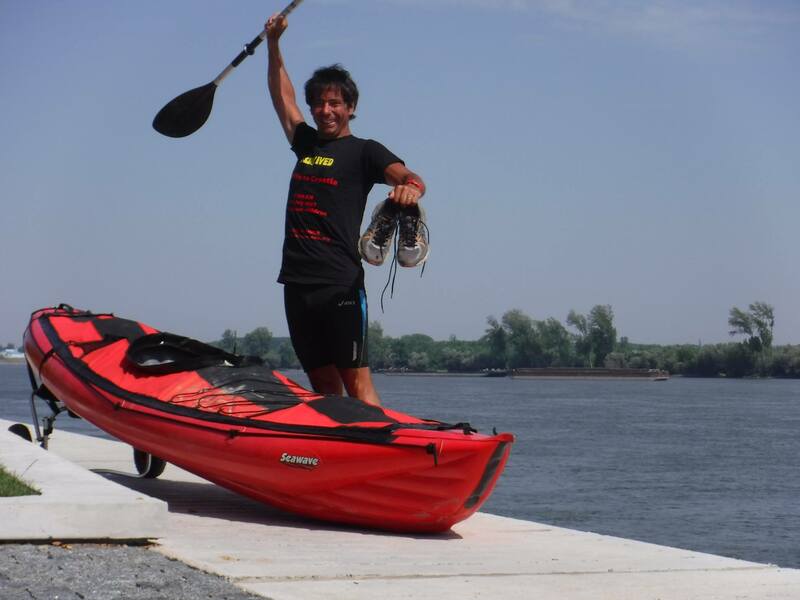 As I paddled down the Danube to my final destination, Vukovar in Croatia, I recall the suffering in this town. The Battle of Vukovar was an 87-day siege of Vukovar by the Yugoslav People's Army, supported by various paramilitary forces from Serbia, between August and November 1991. Before the Croatian War of Independence the Baroque town was a prosperous, mixed community of Croats, Serbs and other ethnic groups. A mentality of “us and them” which denied freedom of expression and nurtured hate and so much suffering. A long reconciliation process ongoing. Will we ever learn? With the entry into force of a new law in 2017, children on the move in Hungary above the age of 14 are being detained based on their migration status, without having committed any offence as per international law. 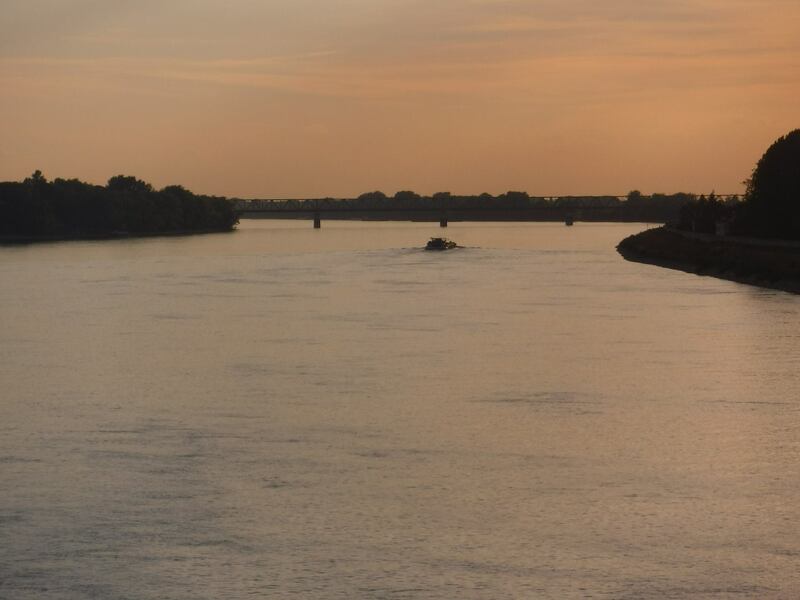 In a recent ruling, the European Court of Human Rights has condemned the practice of Hungarian authorities to confine asylum seekers in guarded compounds, considered to be a de facto detention, also applicable to children. Started off at 5:00 am and arrived by 7pm. A marathon in the morning and another one in the afternoon under a wave of heat. It is about getting a good (though slow) tempo and sticking to it. 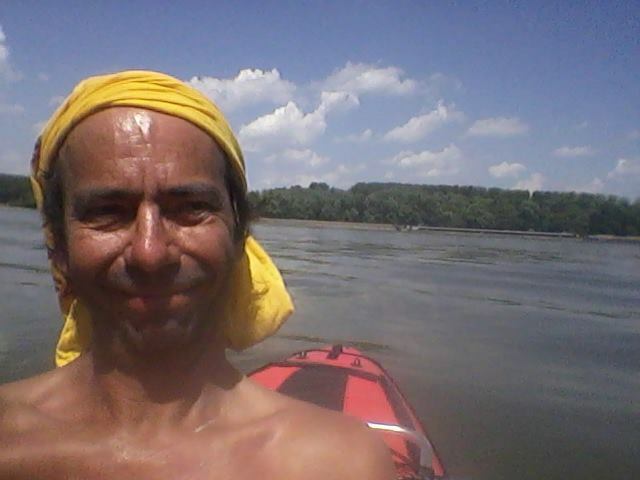 Fanny welcomed me at Budapest with my kayak. 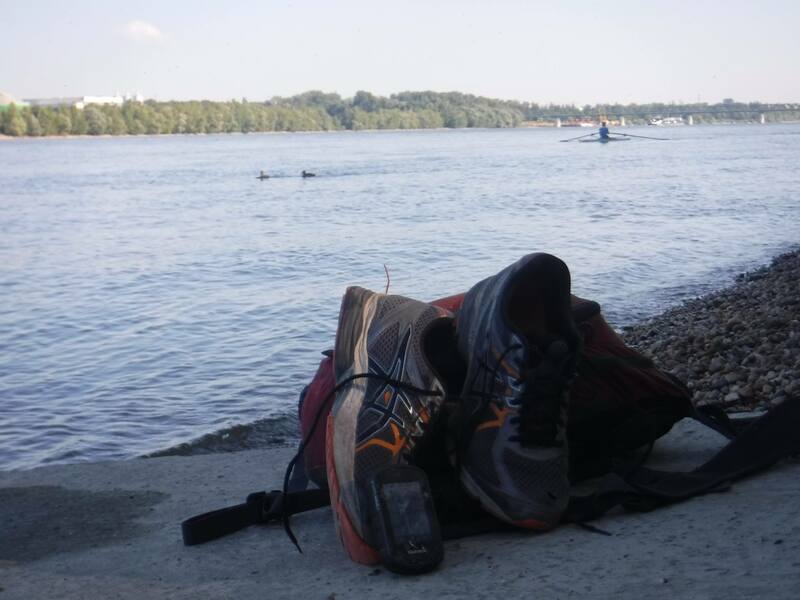 I get leave my shoes behind and enter in the last part of the challenge: some 300 to 350 km down to Vukovar in Croatia. Judith, Carl and Fanny will wave me off tomorrow from the brodge close to Parliament. 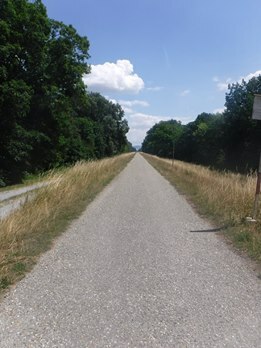 I have left my bicycle in Vienna and set off for three days of running across Slovakia and then to Budapest. Running is a real joy for me, an opportunity to be outdoors and to meet new people. It seems to have always benefited my health and well-being and allows me to offer something back to the world. Offering something back to society is the ambition of so many children who have been on this migration route to join parents and care givers from which they were separated from. My voyage is quite different o theirs but come to my mind all the children who in dire straits received comfort from people full of humanity. I can only feel gratitude for those who welcome. Go Ignacio! together for all children, especially those who are on the move and face challenges! Et hop un petit billet dans la tirelire pour une belle cause et un incroyable Ignacio ! Congratulations, Ignacio! I am so inspired and impressed. Wishing you well from NYC and hope to meet again soon! Wauw Ignacio, what an amazing challenge, adventure and grand finale of your time with TdH. Thanks for everything and I wish you the best of luck on this exciting journey! And if you want to encourage me, please donate for this MyTdh campaign. Praise to the Slovak Supreme Court’s ruling where the detention of an asylum-seeking woman and her three children was deemed unlawful, because no other alternatives to detention had been considered. There is an urgent need to implement alternatives to detention for refugee and migrant children and families. In Austria, children on the move are restricted to the district where the reception centre is, so they cannot move around. In some cases this means they cannot see their family, friends or legal counsel. All children are gifted. We are all gifted. We all have something to offer. 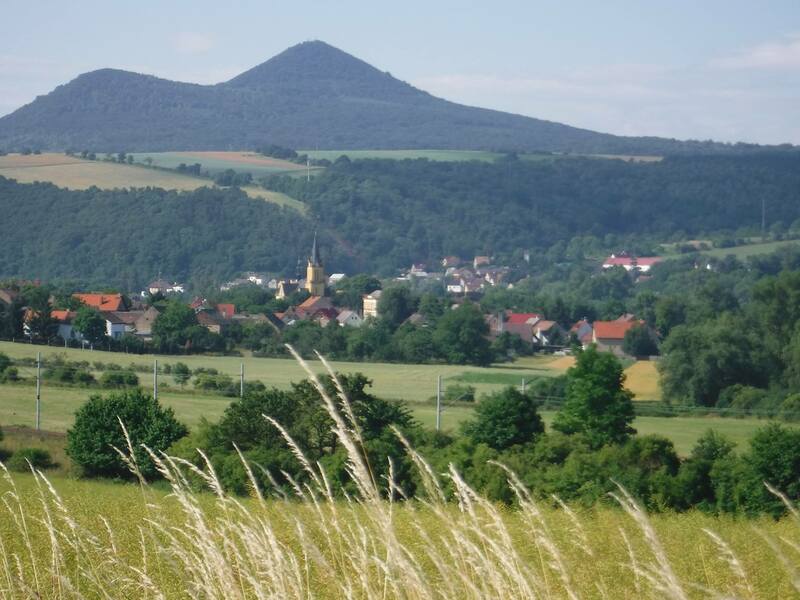 Whether as the truck driver who almost knocked me down on the road, the border control officer when entering Austria or the shop keeper in a remote Czech village. All these gifts create energy that is moving us in the right direction. In these times of violations, what we do matters, regardless of how insignificant it is. The point is that we should be optimistic and engaged. In that way, not only is what we do benefit to others, it is also personally satisfying and leads to happiness. A win-win situation. Great 5 star welcome at Isabelle’s. A great day again. Throughout the migration cycle, refugee and migrant children face a heightened risk of violence, abuse and exploitation compared to Czech children. 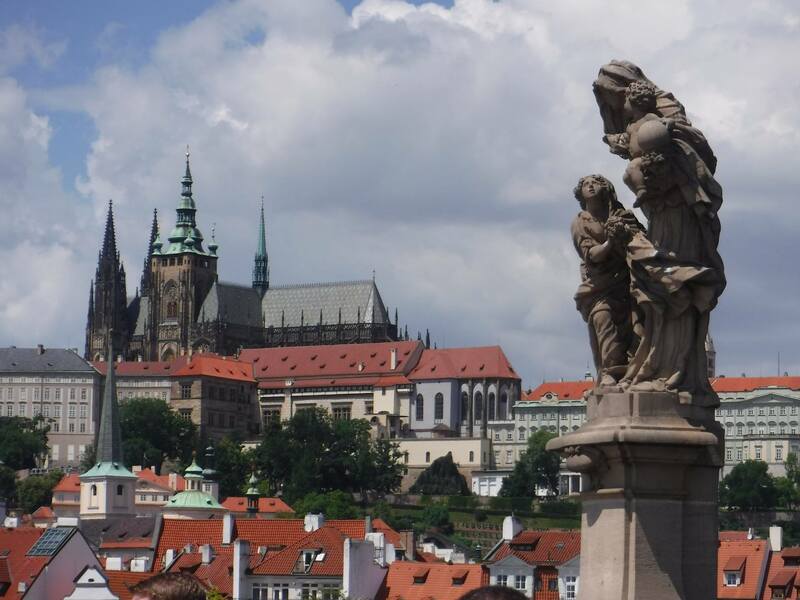 The Czech child protection actors should therefore bear primary responsibility for refugee and migrant children whenever these children are in contact with the Czech migration authorities. Super day with a stop over in Prague. My work with Terre des Hommes has given me the opportunity to travel around the world. Brandenburg Gate was very cosmopolitan this morning with friends and colleagues from civil society, governments and UN agencies to wave me off. Coming from at least 15 nationalities, I am struck by the blatant interdependence that connects us all. Thank ow friends. The Global Forum on Migration brought us to Berlin this week. A Forum, co-chaired by the German government, in which I was given the opportunity yesterday to address the governments at the Foreign Ministry to remind them that migrant children are entitled to a best interest assessment. The child’s best interests determination is universal. It is a legal and moral obligation. Talking about determination, my friend François has joined me to cycle up to Vienna for the first 3 days of my challenge. Joint determination will always lead further than the individual determination. 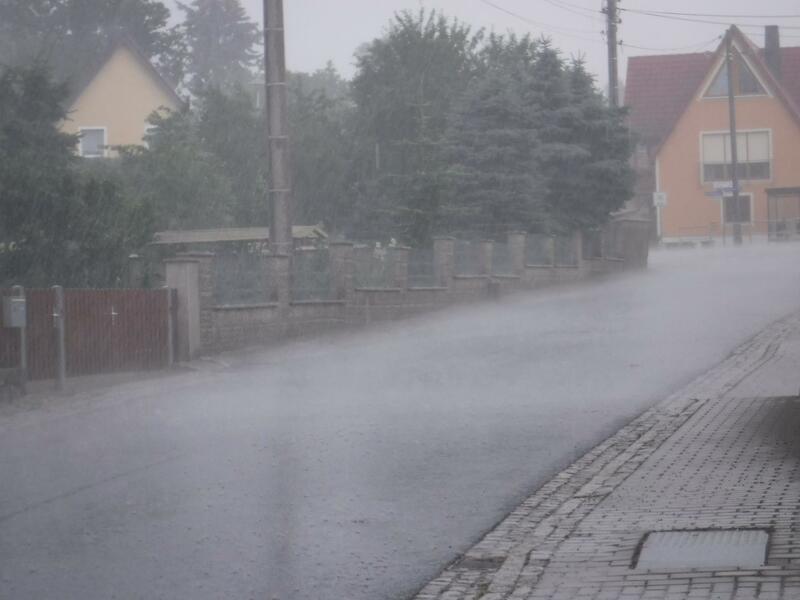 Despite the wet Weather, we arrived well but late at Tisa in the Czech Republic. Great day. Thank you, Ignacio, for all the inspiration, energy, passion, and commitment you are spreading on this planet. I feel privileged being able to support your courageous adventure for a great cause. Take care and simply the best! Magnifique, Ignacio! Courage et plein de plaisir quand même ! The last four years I've collected coins in a jar in my office with the objective to donate the total sum to a campaign when I would leave my current job. What better initiative to support than this one!! Vola Ignacio, siamo sempre con te e con i bambini! 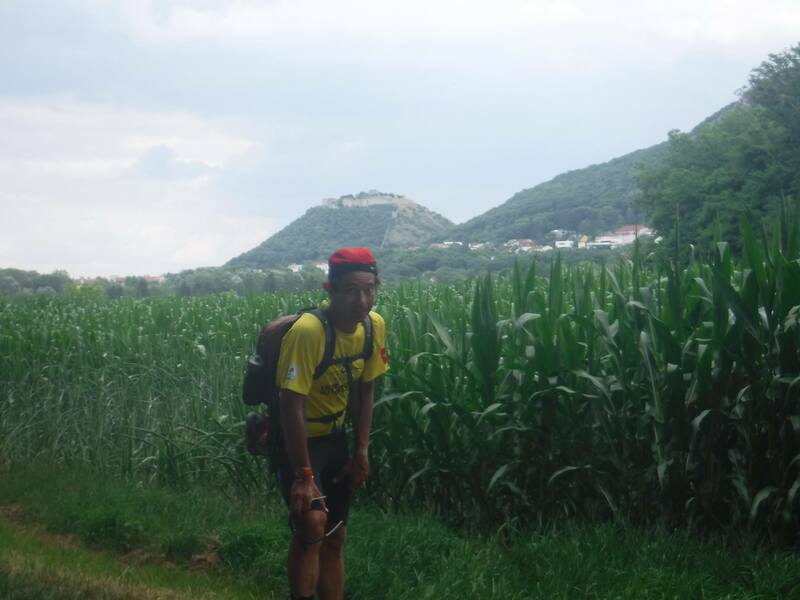 Thank you Ignacio for challenging us with your own challenge for children on the move! Vaiiiiiii ignacio! De tout cœur avec toi et rendez vous après à Vercorin ! Most of us have been Children on the Move, all of us feel with them. 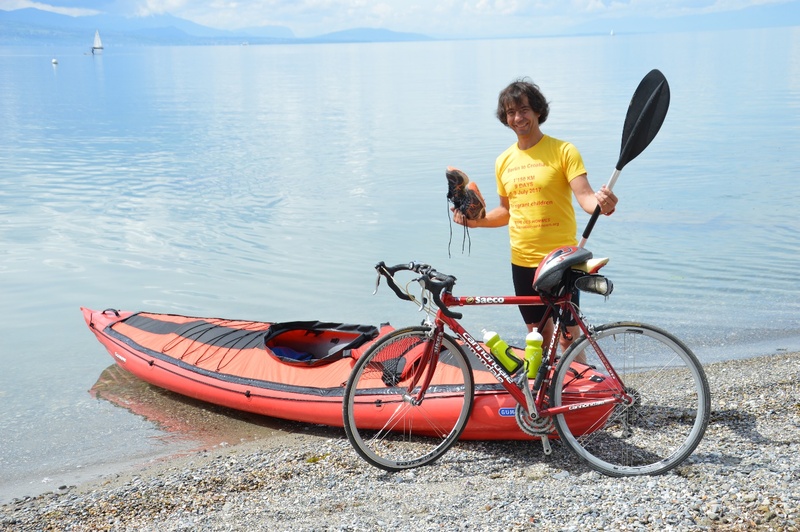 We are happy to support amazing Ignacio in his adventurous quest for Children's Rights. Go, Nacho! I am a firm believer in John Lennon's Imagine and I believe that persons like Ignacio embody and carry forward the message to make it alive and happening. I humbly acknowledge that from my position of privilege the least I can do is contribute financially to make life for children better anywhere there is a need. Trop heureux de te passer le témoin ... Ton challenge est fou et donc j'adore. 13 donors and CHF 822.- already! Thank you so much for your kind words and donations. 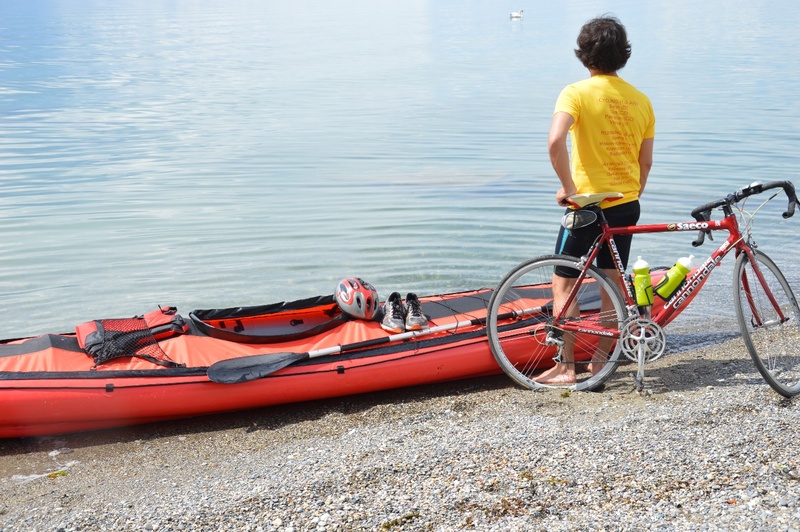 Let's reach CHF 5'000.- by the end of this challenge! Go on Ignacio ! 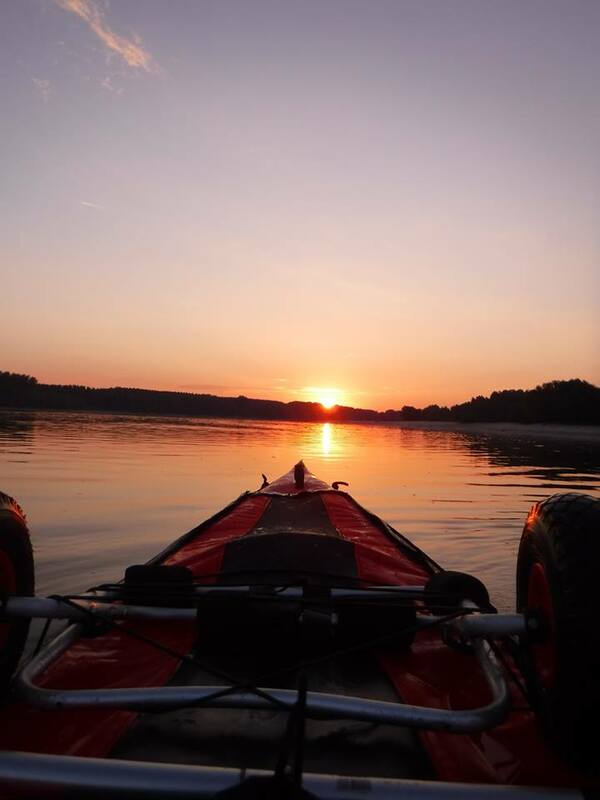 I will be behind you at every step, paddle and pedal stroke. see you in Berlin first ! I will leave Tdh the same day end of June than you. You inspired me (beyond child rights..) to do at least one day of your sportive challenge. On Saturday I put my mountain bike early morning on a blacktop road in Kathmandu climbing 3000 m on several passes and reaching the Indian border after 212 km late afternoon. All the best for 9 of these days of your amazing tour. (Already one day was hard...). Fuerza Ignacio! Un esfuerzo enorme de tu parte por una causa aún más importante!!! Todo lo mejor! 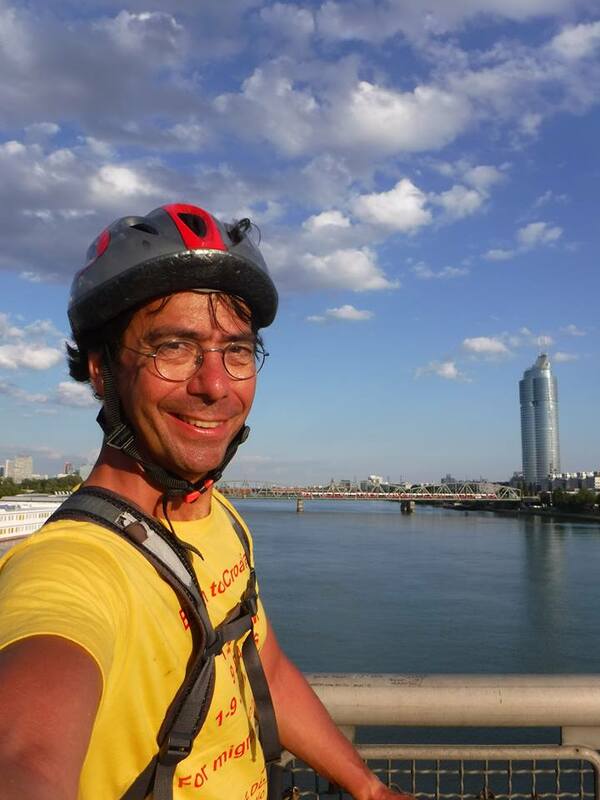 We are looking forward to welcome Ignacio in Budapest and assist him along his way!